Why is Text message marketing Canada important component to mobile marketing? Text message marketing is an important component to mobile marketing. Whenever you see the phrase “Text Shop to 77223” you see a call to action, an opt-in program. Someone texts the keyword “shop” to a shot code or number “77223” and then opts-in a program to receive exclusive offers and deals to their cell phone. If a customer or shopper likes the business, they will almost certainly text in the keyword to join the text club. Businesses can massively change their consumer traffic by implementing this simple strategy as part of their marketing. It works for head offices, big corporations just as it does for small to medium sized businesses. 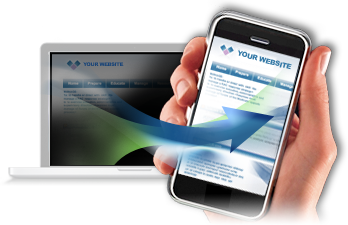 This combined with mobile websites is a powerful tool to grow your customer base. GalaxyText is a company out of Montreal that specializes in all three elements of the mobile space which are text message marketing, mobile apps and mobile websites. They offer a complete overhaul of your marketing by doing it in-house, designing your marketing material, setting up your keywords and sending the message to your customers. They have helped all sorts of businesses such as restaurant chains, franchises, night clubs, real estate agents, retail, trade shows, and small to medium sized businesses. This tool is extremely cost effective and saves businesses thousands per month to implement and the return is far greater than any other means of marketing. Car dealerships are starting to take heed to text marketing and making it easier for their customers to receive valuable information and offers with GalaxyText Text message marketing Canada. Learn More about Text message marketing.